The University of Delaware has rated soils in terms of the likelihood of profitable responses to additions of phosphorus (P) and potassium (K) from fertilizers, manures, and other soil amendments for more than 50 years. Our soil test categories and fertility recommendations are based on research conducted in Delaware or in nearby states with similar soils, crops, and climates. Despite the fact that soil testing has been successfully used by farmers and others for many years, there is still often confusion about the interpretation of soil test P and K results. This confusion primarily occurs because soil testing laboratories use different soil test methods and different reporting units to express the results of these tests. The purpose of this document is to describe the method for interpreting soil tests used by the University of Delaware and to illustrate how to compare and convert soil test P and K results from laboratories using different soil testing methods and reporting units to the equivalent University of Delaware reporting units. 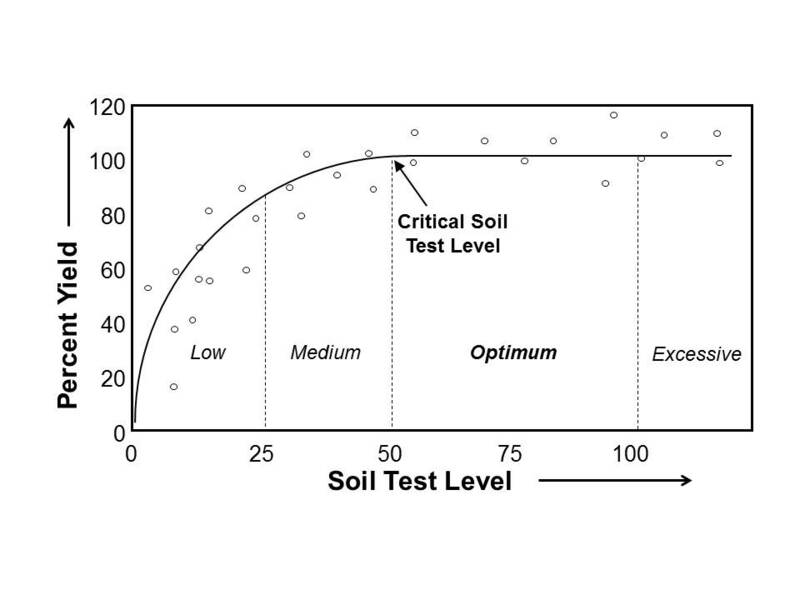 Soil test interpretation is conceptually simple (Figure 1). As soil test nutrient concentrations in the soil increase from “low” to “medium” to “optimum” levels, crop yields increase as well. Once soil test nutrients have reached the optimum concentration for crop growth (the “critical level”), further nutrient inputs are rarely needed and are usually unprofitable because yields often do not increase. Over-fertilization of soils with P to “excessive” levels is also undesirable because this increases the likelihood of nonpoint source pollution of surface waters and shallow ground waters by soil P through runoff or leaching of P. While over-fertilization of soils with K to “excessive” levels does not have water quality implications, it is still economically undesirable and could also negatively impact on crop and forage quality. Figure 1. Interpretation of soil tests. The University of Delaware uses the Mehlich 3 soil test method for routine fertility testing. Soil test results for the macronutrients P, K, calcium (Ca), and magnesium (Mg) are reported as a Fertility Index Value (FIV). The University of Delaware uses four soil test categories to rate soils in terms of the likelihood of a profitable crop response to nutrient additions in fertilizers, animal manures, or other soil amendments (Table 1). LOW (0-25 FIV). The nutrient concentration in the soil is inadequate for the growth of most plants and will very likely limit plant growth and yield. There is a high probability of a favorable economic response to additions of the nutrient. MEDIUM (26-50 FIV). The nutrient concentration in the soil may be adequate for plant growth, but should be increased into the optimum range to ensure that plant growth and yield are not limited. There is a low to moderate probability of a favorable economic response to additions of the nutrient. OPTIMUM (50-100 FIV). The nutrient concentration in the soil is in the range recommended for the growth of all plants. Since there is a very low probability of a favorable economic response, nutrient additions are rarely recommended. EXCESSIVE (>100 FIV). The nutrient concentration in the soil is above the range recommended for the growth of all plants. Additions of the nutrient will be unprofitable and are not recommended. Erosion, runoff, and leaching from soils that are excessive in P can have negative effects on water quality. Applications of P (e.g., fertilizers, manures) are not recommended, with the possible exception of starter fertilizers for some crops. Several soil tests are used by laboratories analyzing soil samples from Delaware (Table 2). Depending on the method used to extract P and K from a soil and the units used to report test results, numerical values for soil test P and K may differ between laboratories. This does not mean that any of the results are inaccurate, only that they must be converted to the same units, taking into consideration differences in soil test methods, to be compared numerically and interpreted accurately. While it is preferable to use fertilizer recommendations developed using a specific soil test method, it is sometimes necessary to convert between soil tests and then develop a fertilizer or manure application rate recommendation. Equations for converting soil test results between soil test methods, which are based on research conducted by the University of Delaware Soil Testing Program (Gartley et al., 2002), are available in Appendix-5 of the Delaware Nutrient Management Handbook. Appendix-5 also contains information on converting soil test data for other nutrients, such as Ca and Mg. The following tables provide the estimated numerical equivalent to UD-FIVs for soil test P (Table 3) and soil test K (Table 4) for the most common soil test methods and reporting units used by labs providing services to Delaware growers. Nutrient recommendations are developed based on research that relates the probability of a profitable plant response to application of a nutrient compared to the amount of that nutrient in the soil as measured by a soil test. However, different soil testing laboratories may use different soil test methods or report results in different units, making it difficult to compare results between laboratories. The University of Delaware nutrient recommendations for P, K, Ca, and Mg are based on the Mehlich 3 soil test, with results reported in Fertility Index Values (FIVs). Research based equations are available to convert soil test P and K results from laboratories using different soil testing methods and reporting units to the equivalent UD-FIV. Conversion of soil test data allows for comparison of soil test results across laboratories and for use of University of Delaware nutrient recommendations with soil test results from other laboratories. It is important to note that even at a given soil test value, recommendations for the amount of nutrient to apply can vary due to differences in nutrient sources selected, the timing and method of application, the crops to be grown, yield goal, tillage practices, and other factors, regardless of the soil test method used. 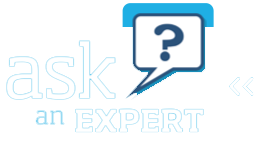 Consult the laboratory conducting the soil test for questions about the test performed and your nutrient management consultant for the most appropriate nutrient management recommendation for your situation.